May 19, 2018 by Josh Haynam	in tutorials. 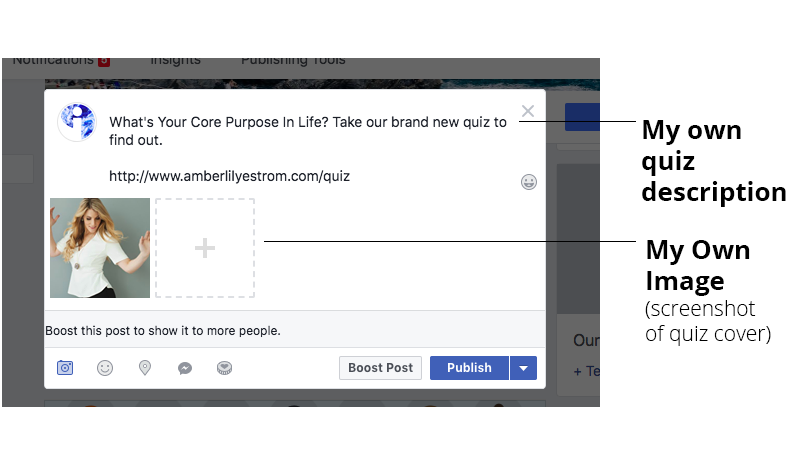 Before sharing your quiz you need to embed it onto your website. I’ll be using this example from http://www.amberlilyestrom.com/quiz. 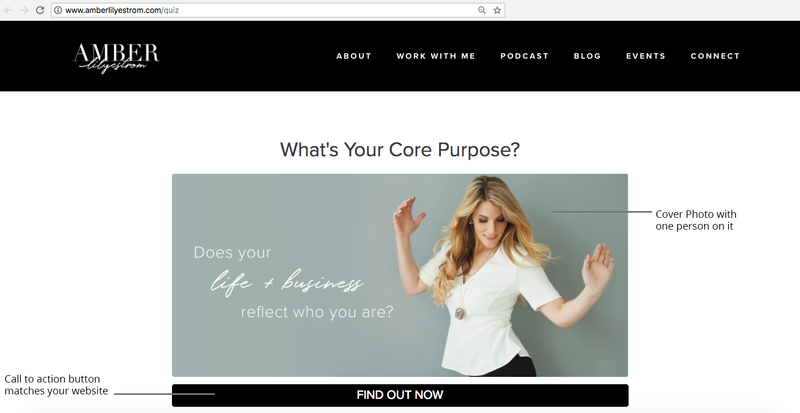 If you haven’t done this yet, go to Part 5 of our course for instructions. 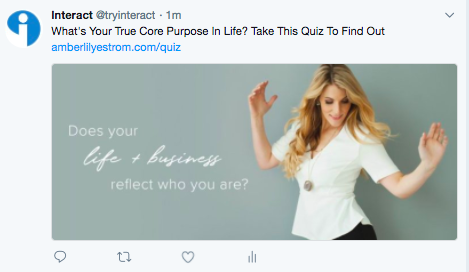 You can also choose to just share a direct link to the quiz but that is ill-advised because the URL will be an interact URL when you are sharing your quiz. Here’s what your embedded quiz should look like, this is where we’re sending people to take the quiz. 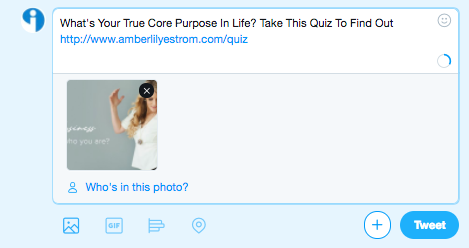 Because of the way Facebook works, when I simply copy and paste the link (http://www.amberlilyestrom.com/quiz) into a post it won’t look right, the image isn’t from the quiz and neither is the description. So what I’ll do instead is click the “x” over the image that was automatically added to the post, then click the icon in the bottom left of the post to add my own image, then I’ll write my own description of the quiz. 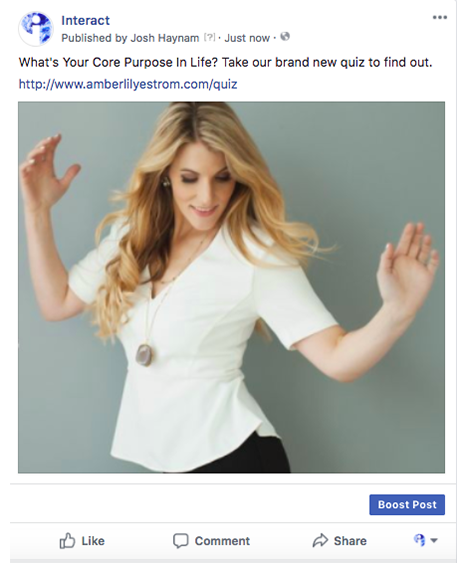 Now when I post the quiz on Facebook everything looks right and it’s nicely formatted. This one can get very complex, so I’m going to refer you out to other full blog posts explaining it. 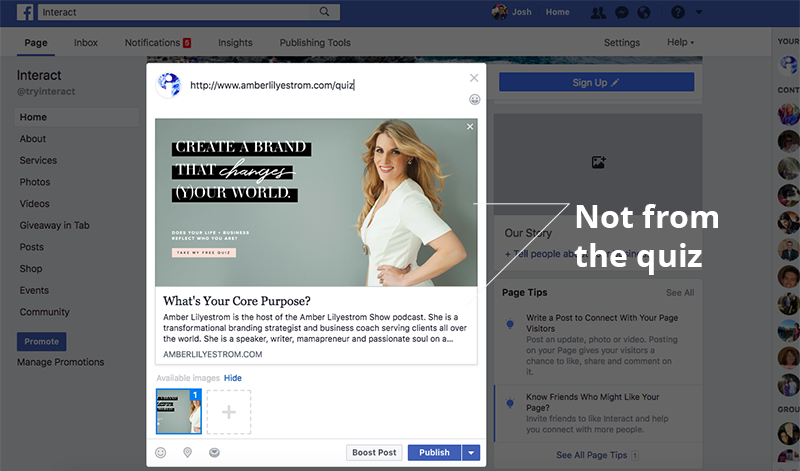 In very brief terms, what you’re going to do with a Facebook ad is make the ad look the same as the post we set up in that explainer but link to yourwebsite.com/quiz with the cover page of the quiz turned off so the first thing people see when they click “take quiz” on your ad is the first question of the quiz which we’ll get more people to engage with it. To make a good post on Twitter, we’ll again start with the link to your quiz on your website. You can see that when we just put the link in a tweet it doesn’t look so great. So we’ll add a caption to it and upload a cover photo for it to make it look better and get more clicks. This is what we’ll end up with as the tweet, very nice. 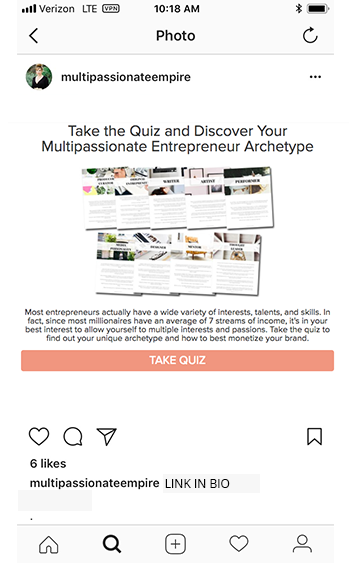 We have a full instagram quiz marketing post you can check out here. 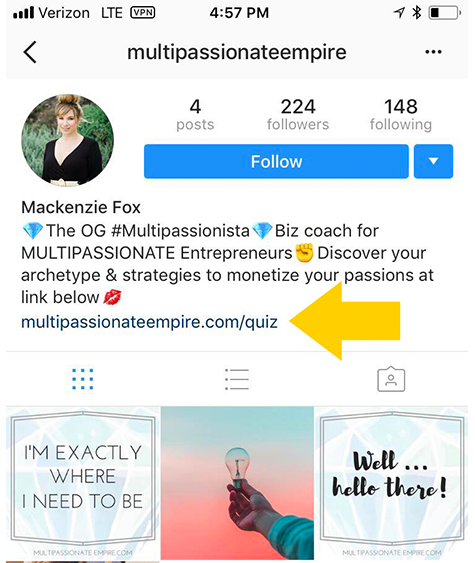 As you know, Instagram does not let you put links in posts, so the first step in setting up a quiz for Instagram is to put the link in your bio. Then you create a nice looking post to promote the quiz and make sure you say “Link In Bio” so people know how to get to the quiz. Insider tip: If you take a screenshot of the entire quiz cover page, including the “Take Quiz” button, it will get more people interested. 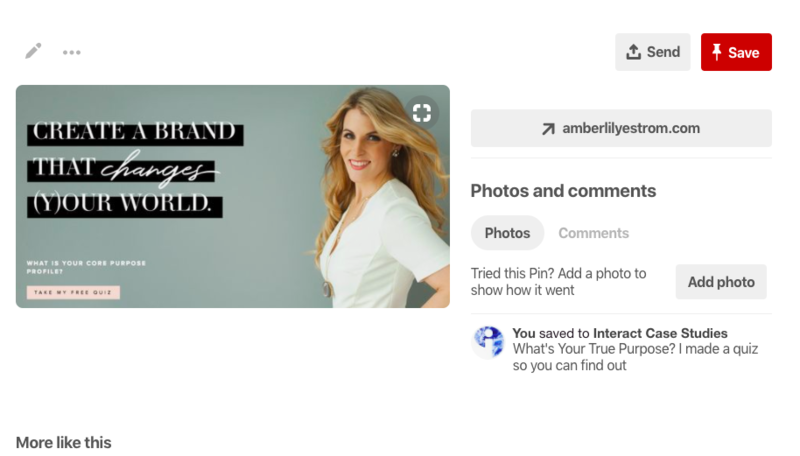 We have a full article on Pinterest marketing strategy using quizzes that involves how to post your quiz, you can check that out here. 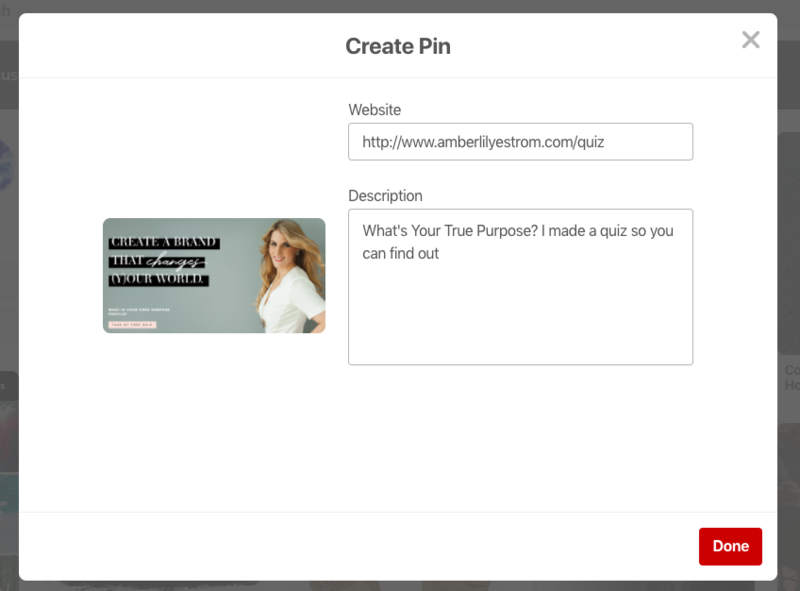 The short version is that you create a pin image that represents the quiz and then link to your same page where you have the quiz embedded, like this example.